Many homeowners wisely leave the job of fence-building to the pros. But like other trades, fence companies do have their own culture and quirks. What happens when you have a fence company install a fence for you? It's not always smooth sailing. Certainly, having a fence company do the physical work of building your fence is far easier than doing it yourself—but you have to know what to expect. Fence companies typically divide their outside staff into two: the estimators and the builders. With larger fence companies, the estimators rarely spend much time with the builders. Their job is to estimate, and then move on to the next job. The estimator will visit your house exterior. If you need to work and cannot meet them, some companies will allow estimators onto your property unsupervised. However, due to liability issues, fewer and fewer companies will do this. And it's also a question of whether you want them there unsupervised. The estimator measures the run of the intended fence with a long measuring tape or with a wheel-type measuring device. They confirm with you certain aspects: the style of fence, material, property line, etc. Then, depending on the company, the estimator may write up a contract on the spot, or a contract will later be mailed to you. While the estimator will usually arrive quickly, the builders will take forever. The typical wait time is four to six weeks. Be prepared: it can be much longer. Of course, this depends on your locality, the company, your requests, and other factors—but nearly every homeowner we know who has installed a new fence has waited a long time for the builders to come. A backlog of other jobs? Are you waiting on materials? Is it inclement weather? Is there a difficulty in finding workers? All of these are real or imagined delays on the builder's part. But keep in mind that fence companies do require a quite hefty upfront deposit, signed contracts, and often a fence permit acquired by the homeowner. So the delay can go both ways. Early in the "waiting period," the fence company should have called a company to come out and mark your yard so that they can avoid utility lines when they dig. If not, you should prompt them to do this. About two weeks before an open "window" of time, the fence company will call you to arrange a date for installation of the posts. A small crew will come out and dig post holes and set the posts in concrete. This is a fast process. 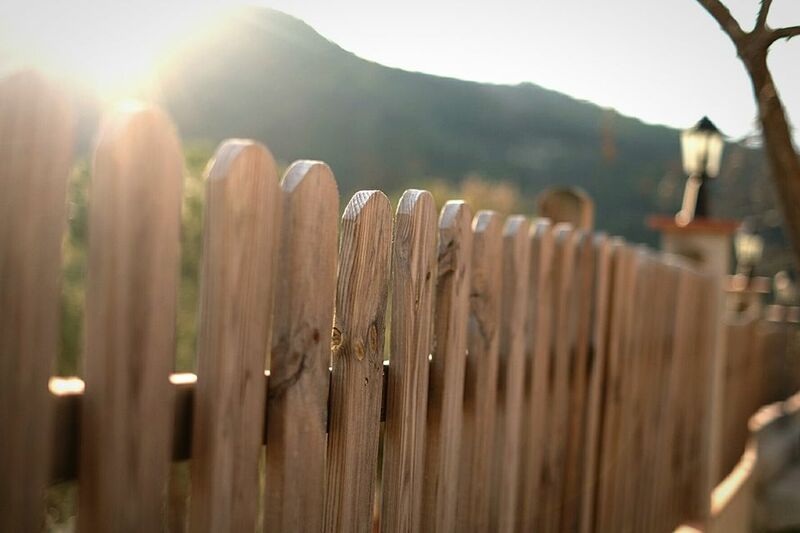 Do not be alarmed if the fence posts look too high—often, they are cut down to size later on. About a week later, the crew will come out again and install stringers (the horizontal pieces), the fencing material, gates, and everything else that finishes up your fence.